The worst moment of my life was when my wife got an unexpected phone call, while we were on vacation in San Antonio last May, that her way too young son, Jermaine had passed. I love my wife too much and would never hurt her by announcing on the web her reaction, I can just tell you of the helpless feeling that I had, that there was nothing I could say to relieve the pain she was feeling. All I could do was hold her, feeling the pain with her. Yes, it was very, very hard when I first lost my best friend, my Dad, and then 3 years later lost part of my heart when my Mom passed, but those were not unexpected and God had blessed our family that they had lived well into their late 80's. So, the 'out of the blue' call about Jermaine and the resulting pain my wife felt was the worst moment of my life, that I pray I never have to feel again. I make that caveat to say that I can understand and deeply sympathize of what the family of the 13 year old sweet girl, Jahi McMath must be going through; the hurt and the pain they must be feeling. In writing this post, I am in no way criticizing the mother or the family and completely understand their reaction to the death of their child coming out of a routine operation. It is so sad, but Jahi McMath is brain dead, determined by the opinion of 5 different doctors. Do you think for one second those doctors, some independent of the hospital, would make that determination if there was hope that she could come back. I believe sweet Jahi's soul is back together with God in heaven. 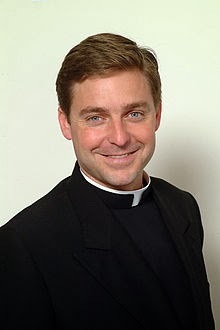 I heard on the Gretchen Carlson show on the Fox News Channel, Father Jonathan Morris say that people have made this a case of faith vs. science. But I agree with Father Morris when he said that is not the case as faith and science are not mutually exclusive. He said Jahi's soul is in heaven and that is determined by the science of the doctors that this too young child is brain dead and the faith of their religion that the child is truly with God in heaven. Now let us all pray that God comforts the parents, eases the pain in their hearts and let them understand that their precious daughter is now in heaven and, knowing that, they are able to let her go. May God Bless Jahi and her Mom and Dad and the rest of her family. Beautiful comments, but I totally understand why the hospital, in great ethical conscience and respect for life, refused to put in a feeding tube and do surgery on a brain dead human being! No parent should EVER have to bury a child and I can't imagine the pain they are feeling. I have conflicting opinions on this subject. I have not had to deal with these issues, though my wife has with both her parents. Cases like this disturb me, especially when the plug is pulled, and the patient does not die, but instead starves to death. We make the best decisions we can, but ultimately we have to bow before God's will. so that you might be honored." I'm sorry that your wife had to deal with such a heart wrenching decision for both of her parents. God bless her.